Read on for Aimee’s full review of this behind-the-scenes audio documentary, recorded on the set of the movie Fantastic Beasts: The Crimes of Grindelwald. Total Film magazine has released a brand new promotional photo from Fantastic Beasts: The Crimes of Grindelwald that is featured in their new issue. 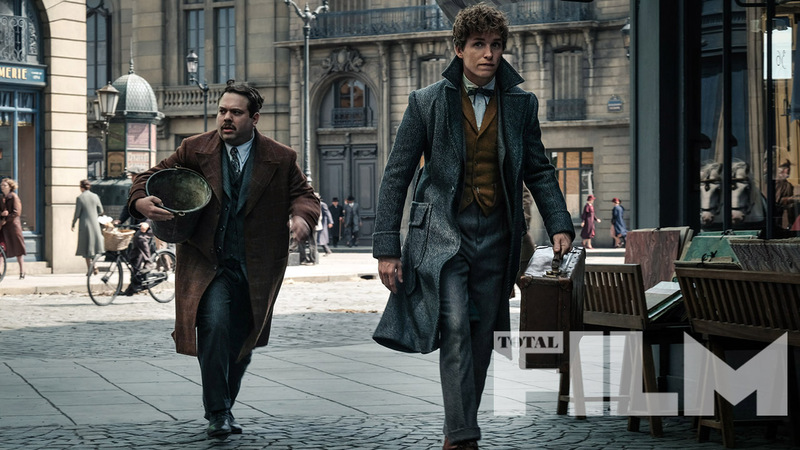 The photo features Newt Scamander (Eddie Redmayne) and Jacob Kowalski (Dan Fogler) walking through the streets of 1920s Paris. See the photo in high resolution in the gallery! The photo in question shows returning magizoologist Newt Scamander (played once again by Eddie Redmayne) alongside trusted Muggle companion Jacob Kowalski (Dan Fogler), striding across the streets of what appears to be 1920s’ Paris (check out the french language signage and bicycle baskets). It may be a single still, but this pic already throws up several questions about what we can expect from the movie, which has been penned by J.K. Rowling herself. What’s in Jacob’s basket? Why does Newt look so anxious? And what’s brought them to the city of love? Given the title, I reckon another one of those pesky beasts has gotten loose. You can read more about Fantastic Beasts 2 in this month’s issue of Total Film magazine, on sale December 22. Fantastic Beasts: The Crimes of Grindelwald is currently set for release on November 16, 2018. Three more films will follow it. Earlier this week Lumos had a live Facebook video with Alison Sudol and Dan Fogler as well as Lumos CEO Georgette Mulheir. 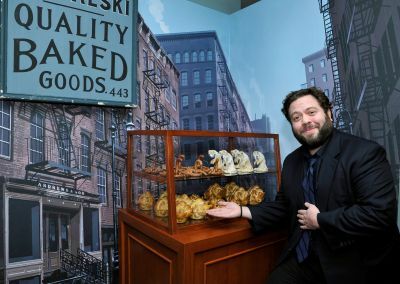 They urged fans to get involved with Lumos Foundation USA – and offered a chance to win a visit the set of the new film at the same time. Visit their crowdrise page to donate and enter! To gain 1 entry you must donate $12. Meet members of the cast and crew of the film. 1 lucky winner will win an original painting of Newt Scamander, the Magizoologist hero in Fantastic Beasts and Where to Find Them by Mouth Artist, Henry Fraser, signed by J.K. Rowling, Eddie Redmayne and cast members of the film. Imagine being separated from your parents, simply because they were too poor to look after you. Imagine being vulnerable and alone and exposed to unimaginable living conditions and abuse on a daily basis. Imagine not having a choice – or a voice. An estimated 8 million children around the world live in harmful orphanages. Many suffer abuse and hardship as a daily reality. Shockingly – 80% are not even orphans; they have at least one living parent. These vulnerable children need families, not orphanages. Lumos has the proven solution to transform the future for children in orphanages. Here’s the story of Ilove and her brother, rescued by Lumos from an orphanage in Haiti and now happily reunited with their family.